Eastern Sun is an amazingly delicious morning and afternoon tea that nourishes, balances and gives a sustained energy boost. I formulated this blend to protect against stress, re-balance the adrenals, energize, detoxify the body and provide a full spectrum of vitamins, minerals and phytonutrients. Read more below! 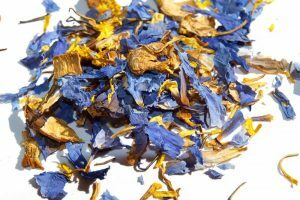 Categories: Herbs For Anxiety, Organic Loose Leaf Teas, Dried Herbs and Superfoods. 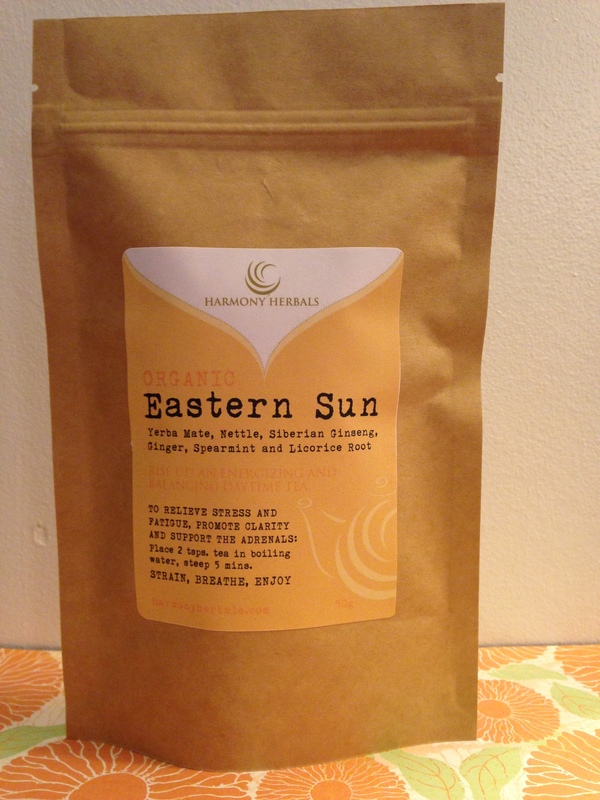 Eastern Sun is an amazingly delicious morning and afternoon tea that nourishes, balances and gives a sustained energy boost. I formulated this blend to protect against stress, re-balance the adrenals, energize, detoxify the body and provide a full spectrum of vitamins, minerals and phytonutrients. Yerba Mate contains a natural form of caffeine, often referred to as matteine. It gives a longer, more measured energy boost without the crash and the shakiness that often comes with coffee. 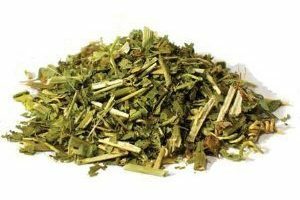 Nettle re-nourishes the body with it’s green-powered full spectrum of vitamins and minerals, the Ginger is warming and soothing and the Licorice Root naturally sweetens and protects the adrenals. Eastern Sun is full of potent adaptogens like Ginseng which can help heal and protect the body against a wide variety of stressors, leading to greater health, vitality and disease prevention. 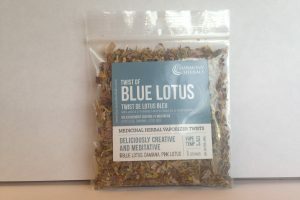 This perfectly flavored blend is perfect for peaceful mornings, an afternoon pick me up, at work to boost motivation or before a test or presentation to soothe the nerves & tummy and promote mental clarity. 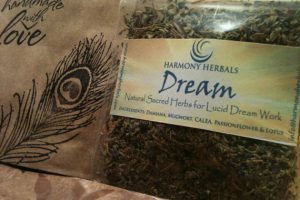 All Harmony Herbals teas are made with the highest quality organic herbs and spices and are hand blended in small batches by owner and herbalist Nikki Smorodin. Our loose leaf artisan teas are exquisitely blended for gourmet flavor and healing effect. A true tea experience. 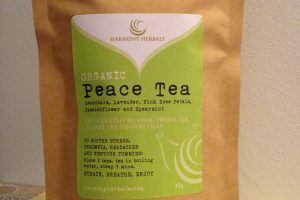 Ingredients: Organic Yerba Mate, Nettle, Ginger, Spearmint, and Licorice. Dosage: Steep 2 teaspoons in one cup boiling water, repeat three times daily. 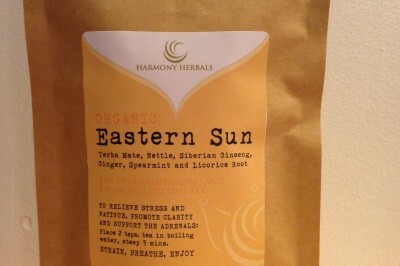 Be the first to review “Eastern Sun Tea” Click here to cancel reply.